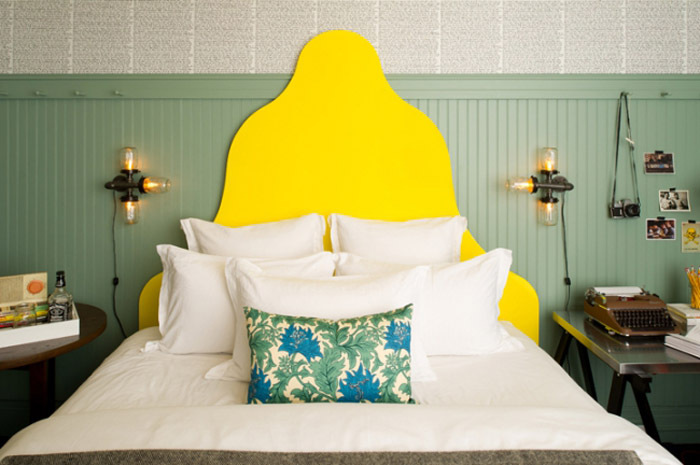 How fun are these updated rooms of San Francisco's Hotel Triton? 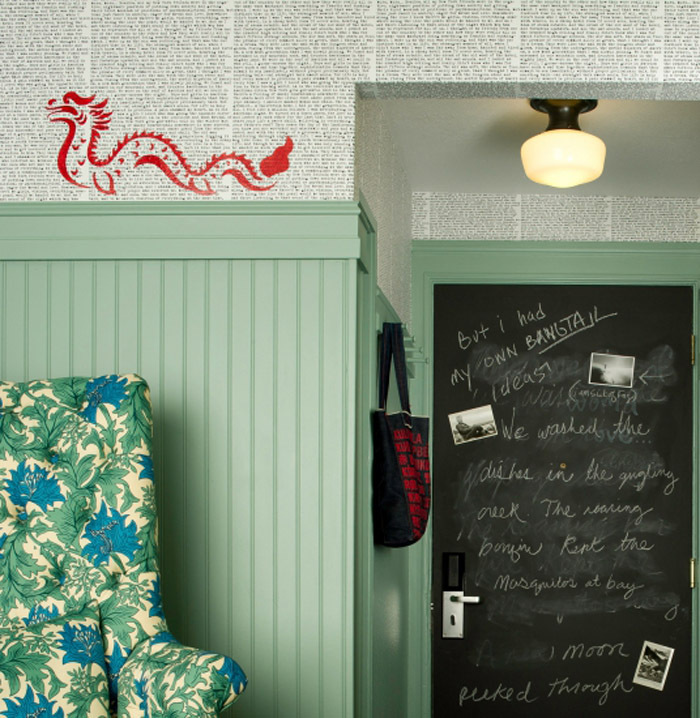 The rooms which were replicated throughout the hotel was designed by Nicole Hollis who incorporated Asian elements (note dragon stencils referencing SF's street culture) and classic Edwardian finishes, channeling the beat movement “traveling writer,” (Jack Kerouac's original draft of On the Road —has been unrolled as a custom wall covering encircling the room along with industrial urban hardware and other unique touches. 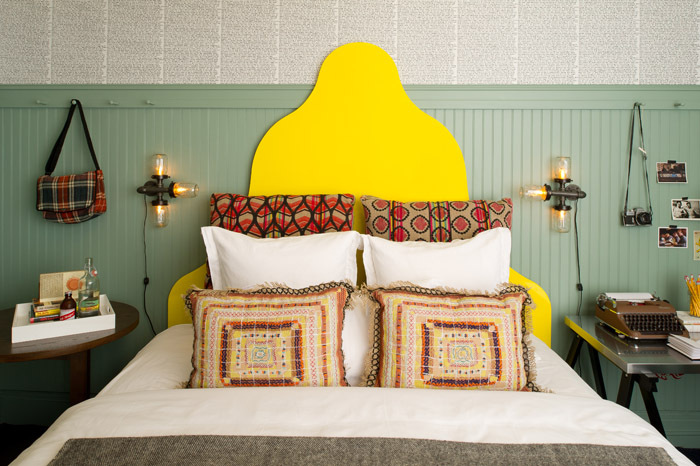 Love the high gloss yellow headboards and wicker basket-weave pendant. (Photographer: Anthony Quesada). Nicole Hollis is a designer and founder of NICHOLEHOLLIS, an interior design firm specializing in high-end residential, hospitality and luxury interiors. Visit nicolehollis.com for more info. so fun and unique! 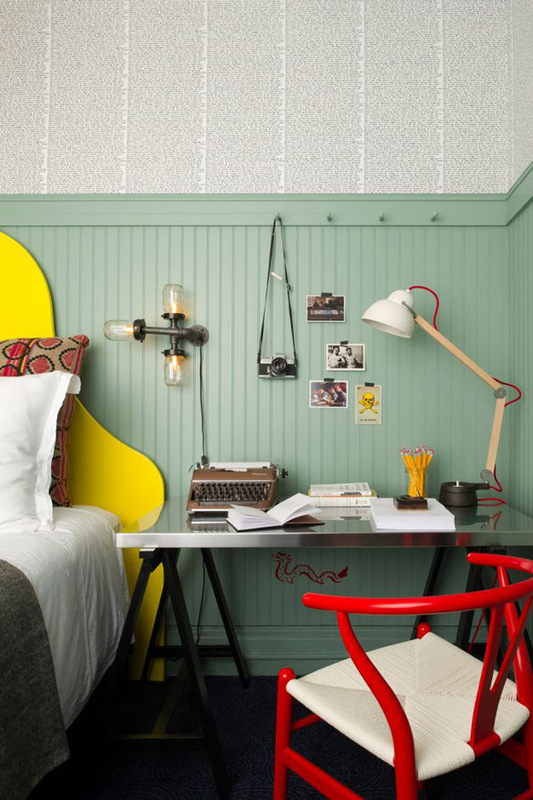 love the pops of bright color and that newspaper like wallpaper! Come on! 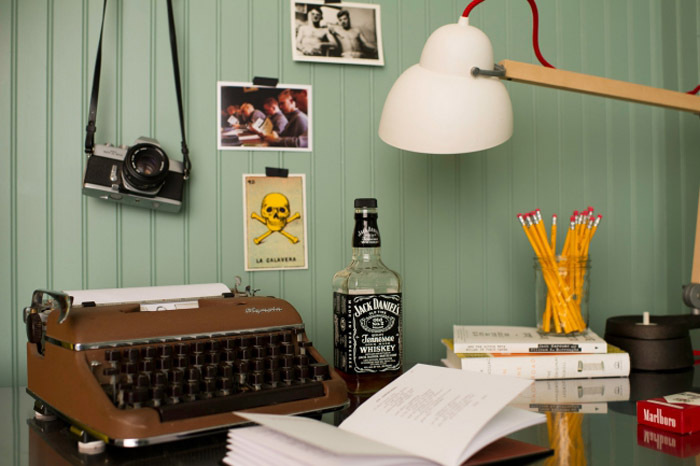 That desk, with the booze and pencils, where you can live out your mid-century novelist fantasies? Too good. 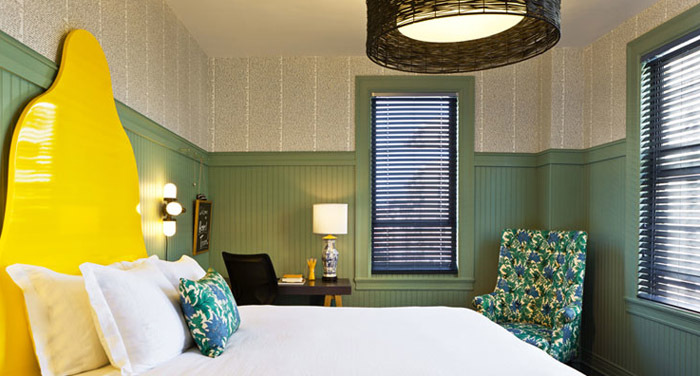 I know where I want to spend my next staycation! Gorgeous. Really no other words needed!